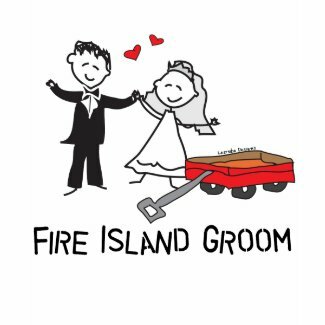 Fire Island Groom T-shirts and Fire Island Bride t-shirts for couples tying the knot in a Fire Island Wedding. 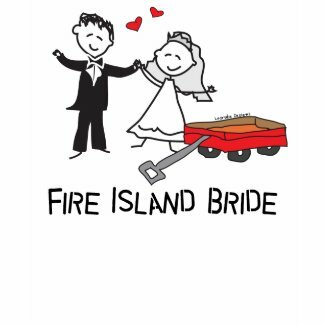 Features whimsical art of bride and groom and red wagon. The perfect speed for Fire Island weddings and “I do’s”.